Editing photos right after you take them, then posting them to the web, is one of the greatest conveniences of our time. Forget ride sharing apps, on-demand entertainment, and wearables that might save your life. Being able to show millions of people what you had for dinner is what technology is really about. Snark aside, knowing how to edit and improve your photos before sharing them with the world is a valuable skill. Here are a few tips to help you do that. Launch the Photos app and find your image. Tap on Edit in the top-right corner. Use the controls to make any changes you need (more on this shortly). Tap Done to save your work. Remember that your edits are non-destructive, which means you can always revert to the original photo. To do this, tap Edit and then Revert to ditch your changes. You can edit your photos using a range of apps, but today we’ll focus mostly on the built-in Photos app provided by Apple. 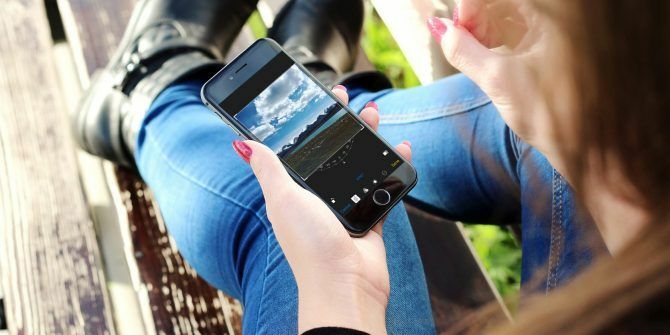 Check out our list of top iPhone photo editors The 8 Best Free Photo and Image Editing Apps on iPhone The 8 Best Free Photo and Image Editing Apps on iPhone Want to edit photos on your iPhone? 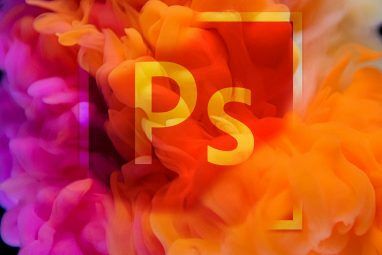 Here are the best free apps for all levels of photographer, offering everything from filters to HDR. Read More for something a little more powerful. 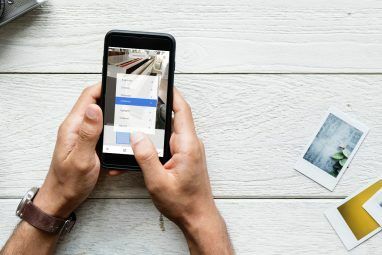 Launch Photos and locate the image you want to crop. Tap Edit then hit the crop and rotate icon (box with two arrows) from the row of controls at the bottom of the screen. Manipulate your image by grabbing and moving the corners of the frame. You can also pinch to zoom in and out. Tap the Orientation button in the bottom-right to restrict your crop to a particular ratio or shape. Tap Edit then hit the crop and rotate icon from the row of controls at the bottom of the screen (far left). Select and drag the wheel at the bottom of the screen for minor adjustments. Press the 90 degree rotate (square with arrow) icon in the bottom-left to rotate the entire frame. iOS Photos “Silvertone” black and white filter. Launch Photos and locate the image you want to edit, then tap Edit. Tap the Filters icon (three circles) at the bottom of the screen. Scroll through the available filters. Choose one, then hit Done to save. Tap the ellipsis icon (a circle with three dots) then hit More. Enable any compatible apps by toggling them On, then hit Done. Tap on an app’s icon to load the various photo editing controls and filters. Make your changes, then hit Done to save. Many apps, like Instagram, won’t play ball with Apple’s extensions in the Photo app, so you’ll have to open the app instead. Check out a few of our favorite photo filter apps Top 11 iOS Photo Editing Apps for Tweaks, Filters & Artwork Top 11 iOS Photo Editing Apps for Tweaks, Filters & Artwork There are plenty of free and paid iPhone apps to edit your photos, turn them into artwork, and make you looking stunning — here are our favorites. Read More if you’re in need of inspiration. Tap on the adjustments icon (a knob dial) at the bottom of the screen. Select B&W then Intensity, and adjust the slider to modify the effect. Tap the list icon (three lines) on the right-hand side of the screen to reveal other controls: Neutrals, Tone, and Grain. Adjust the various settings till you’re happy, then tap Done to save. Note: Any changes you make to the Light controls (contrast, highlights and shadows, and so on) will be retained when working in B&W mode. Tap on the ellipsis icon (a circle with three dots), then tap Markup (see note below). Use the various tools to make changes to your image. Tap the plus icon to reveal options for adding text, a signature, various shapes, and a magnifying loupe. Note: If you don’t see Markup under the menu, tap on More then enable markup from the list of apps. Apple provides a decent array of tools. From left to right there’s a: standard pen tool, highlighter, pencil, eraser for removing your markup, selection lasso for moving your markup, and color picker. Launch Photos and locate the Live Photo you want to edit. Select it and scroll down to reveal a new set of options. Choose between the various Live Photo animations: standard Live, Loop, Bounce, and Long Exposure. Scroll back up to preview the effect. If you tap Edit in the top-right corner, you’ll see a film roll at the bottom of the screen. Here you can pick a new key image from the Live Photo data. Tap a frame to select it, then tap Make Key Photo. Launch Photos and locate the image you want to fix, then tap Edit. Tap the red eye tool icon in the top-left corner. Touch each affected area to heal the image. Launch Photos and locate the Live Photo you want to convert. Tap the Share icon in the bottom-left corner, then choose Duplicate. Select Duplicate as Still Photo when prompted. Use the instructions above to remove red eye using the Photos app. Download Koredoko from the App Store, launch it, and grant access to your photos. When prompted, enable Extention (sic) features. You can also do this from the app’s Settings. Tap the list icon in the bottom-left of the screen to view your photos, with the most recent at the bottom of the list. Find your photo then tap the small blue i button next to it. Finally, tap the Share button in the top-right, then choose Share without Metadata. Choose whether to share the image directly to a service of your choice, or save the image to your Camera Roll for later use. Note: Stripping the image of metadata will remove not only your geotag, but camera information like manufacturer and the settings used to capture the image. Launch Settings, then tap Privacy. Tap Location Services, then select Camera. Repeat as necessary for any other camera apps you use. 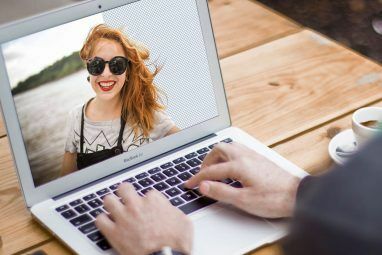 With these tricks under your belt, you should be prepared to undertake most common photo editing tasks on your iPhone. If you want to take your images to the next level, consider shooting and editing RAW files The Best Apps and Tips for Taking RAW Photos on Your iPhone The Best Apps and Tips for Taking RAW Photos on Your iPhone It's a feature most iPhone photographers have wanted forever, but you'll need the right app to get the job done. Read More which consume more space but provide more scope for adjustments in post-production. Explore more about: Image Editing Tips, iPhone Tips, Live Photos.